Nor-Tech's Portable Cluster was awarded Best in Show: Most Innovative Server at this year's Intel Solutions Summit (ISS) in Las Vegas, NV. The Portable Cluster is a rugged, shock-resistant, mobile supercomputer that can run on standard power. Nor-Tech developed the Portable Cluster to address the need for advanced computing in extreme or unconventional environments, for industries such as Oil & Gas and Military. Each year, the North American Channel Marketing team uses the Intel Solutions Summit as a vehicle for recognizing outstanding performance and achievement from the prior year. 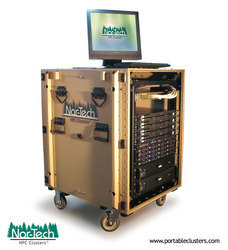 The Nor-Tech Portable Cluster is designed to tackle the global challenges of todays global High Performance Computing environment. 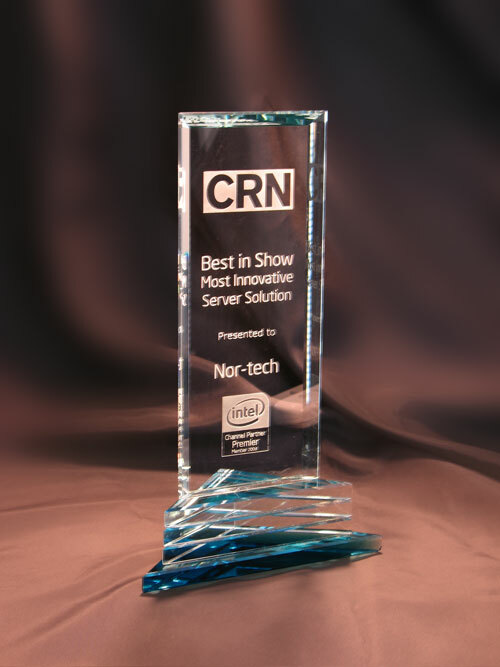 Nor-Tech is pleased to announce that the Portable Cluster has been honored as Best in Show--Most Innovative Server Product at the Intel Solutions Summit. Intel's annual Solutions Summit is held as an opportunity for channel partners to engage with industry leaders and learn about new business-building products and solutions strategies. Each year, the North American Channel Marketing team uses the Intel Solutions Summit as a vehicle for recognizing outstanding performance and achievement from the prior year. Nor-Tech manufactures computer systems, servers and high-performance clusters, which it offers though a large network of resellers across the USA. The exclusive manufacturer of Voyageur PC, Nor-Tech produces thousands of PCs and Servers each month at its 60,000 sq. ft. facility in Burnsville, MN. Nor-Tech enjoys partnerships with industry leaders and is currently listed as an AMD Platinum Solutions Provider, Intel Premier Provider and Microsoft Gold Certified Partner. Nor-Tech has also been honored with Microsoft's Most Valuable System Builder Partner award which is bestowed upon only one system builder in the entire country each year! Listed in Entrepreneur Magazine's HOT 100 list of fastest growing companies three years in a row, Nor-Tech continues to extend its reach. For more information, please visit http://www.nor-tech.com.